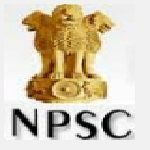 Nagaland PSC Lecturer recruitment 2016-17 notification apply for 72 posts : Nagaland Public service commission (NPSC) welcomes application for the position of 72 Assistant professor, research associate, lecturer, TRA, technician, PGT and various vacancies through common educational services examination 2016.Candidates who completed their master degree, PG Degree, M.Ed., M.Sc. MA, BE, B.Tech., MCA, B.Ed. Ph.D. is a good opportunity.The individuals who are the occupation seekers searching for govt employments in Nagaland this is the best chance to apply. Competitors read the official notification then read all the guidelines and miners precisely then apply before the last date online application got. All the interested and eligible candidates can apply before 14th July 2016. Govt jobs for master degree, PG Degree, M.Ed., M.Sc. MA, BE, B.Tech., MCA, B.Ed. Ph.D.
Educational Qualification for the Job: master degree, PG Degree, M.Ed., M.Sc. MA, BE, B.Tech., MCA, B.Ed. Ph.D. Candidates Age Limit: The age of the candidate should not be less than 21 years and should not be more than 30 years. The age of the applicant should be as on 1st January 2016. Academic qualification details: Candidates should have master degree from a recognized university in the relevant subject with at least 55% marks or its equivalent grade relaxable by 5% in case of SC / ST and differently abled applicants. Academic qualification details: Candidates should have M.Sc. in Mathematics / English / biology / botany / zoology / sociology) with 50% OR MA in English / pol science / sociology with 50% and relaxable by 5% for ST / SC candidates with B.E. Process of applying for the job: All the interested and eligible candidates can apply in prescribed application form along with attested copies of mark – sheets and pass certificates from HSLC / equivalent onwards till requisite qualification / one copy of recent passport size photograph and original examination fee receipt send to the secretary, Nagaland Public service commission, Kohima, payable at Kohima on or before 14th July 2016. Important Dates: All the interested and eligible candidates can apply before 14th July 2016.